Update: I was eliminated in round four. 😦 One of these talented ladies: Leah, Shannon, or Teresa, will win the grand prize during round 5. 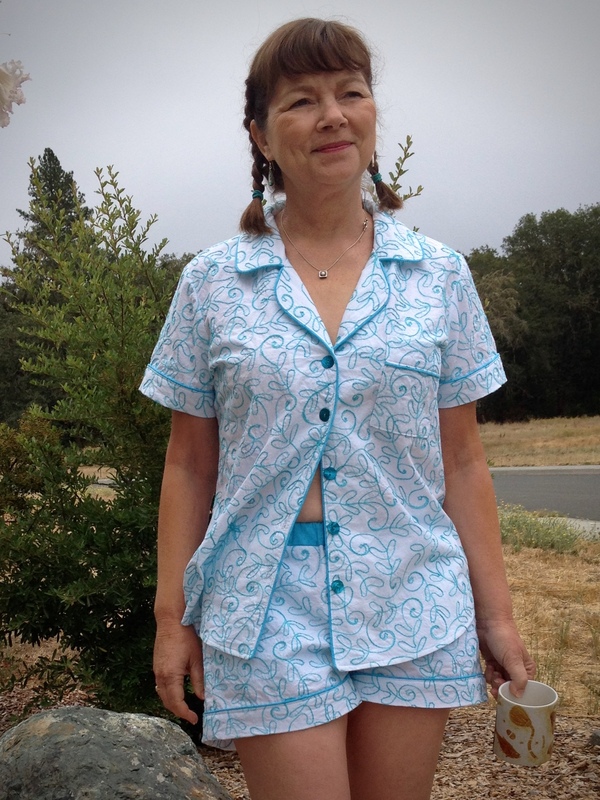 This entry was posted in Art, Blogging, Contest, DIY, Dressmaking, Family, Fashion, Hair, photography, Sewing, sewing contest, Tutorial, Upcycle, Video Production, vintage, Vintage sewing and tagged carolyn pajamas, classic pajamas, closet case files, coco chanel, contest, diy, ella top, Eureka Fabrics, fabric, french braids, Heather, Heather Lou, leila patterns, machine embroidery, making piping, pajamas, piping, pouch, Round 4 of sosm II, Sew Mama Sew, sew modern, sewing, sewing contest, Super Online Sewing Match II, vintage sewing, women's pajamas, zibergirl.com. Bookmark the permalink. What great pajamas. 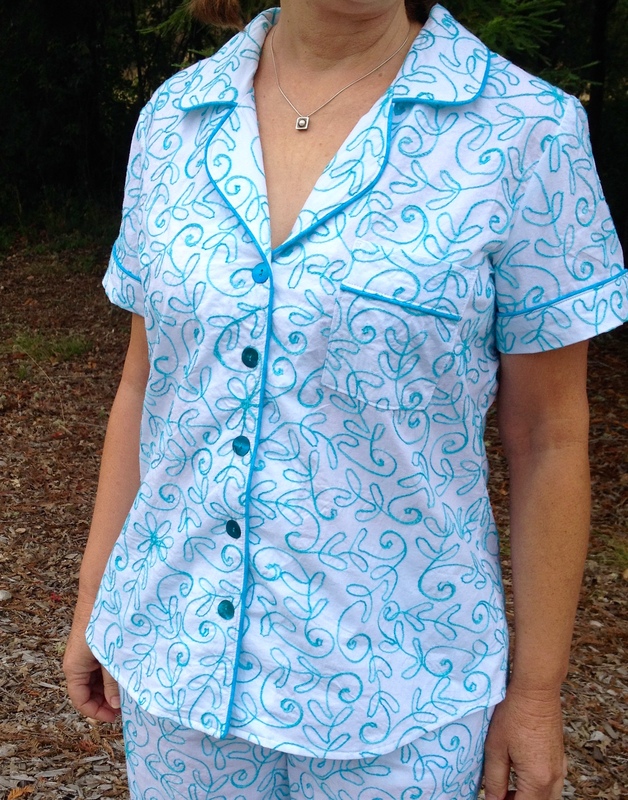 I love the different combinations of tops and bottoms you’ve made. These are fantastic! I’m so inspired! 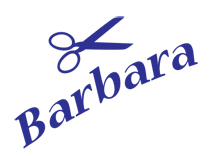 I love these pajamas Barbara! The fabric is beautiful. I’ve always wanted to sew piping on a garment and you have inspired me. Good luck in the competition. I know you’ll do great. 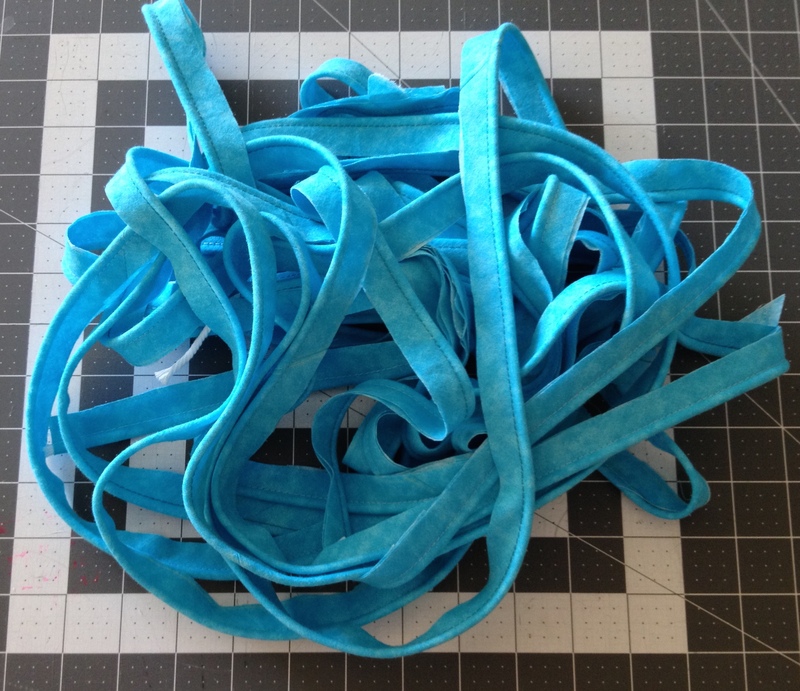 They look brilliant and what absolutely gorgeous fabric – so unusual. Good Luck! These are fantastico!! And I love the fabric you picked. They look so chic and yes, classic!! Good luck!! That is a beautiful set of pajamas. I especially like the sleeveless top with the yoke made out of the leftover fabric. 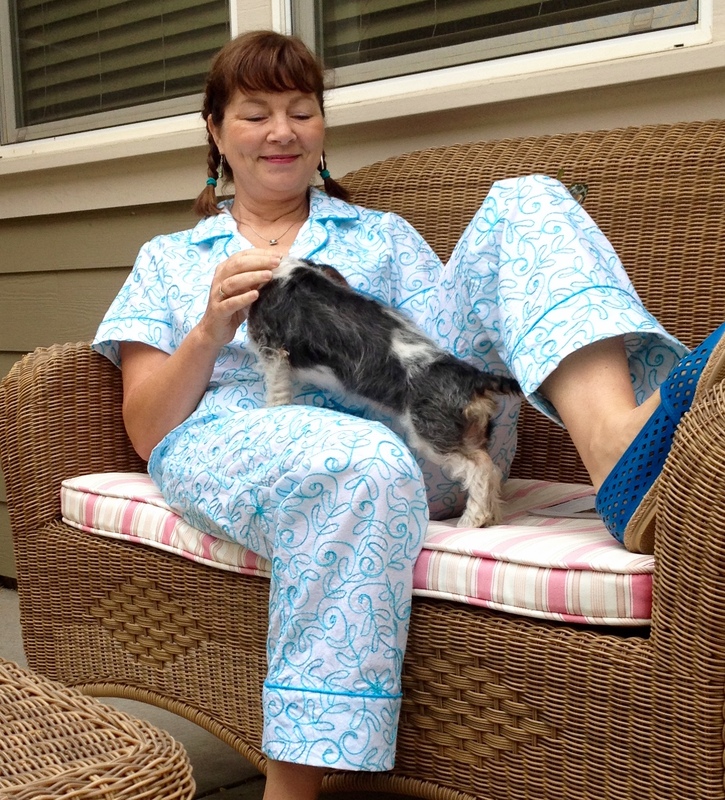 Everything about your PJ’s is spectacular. 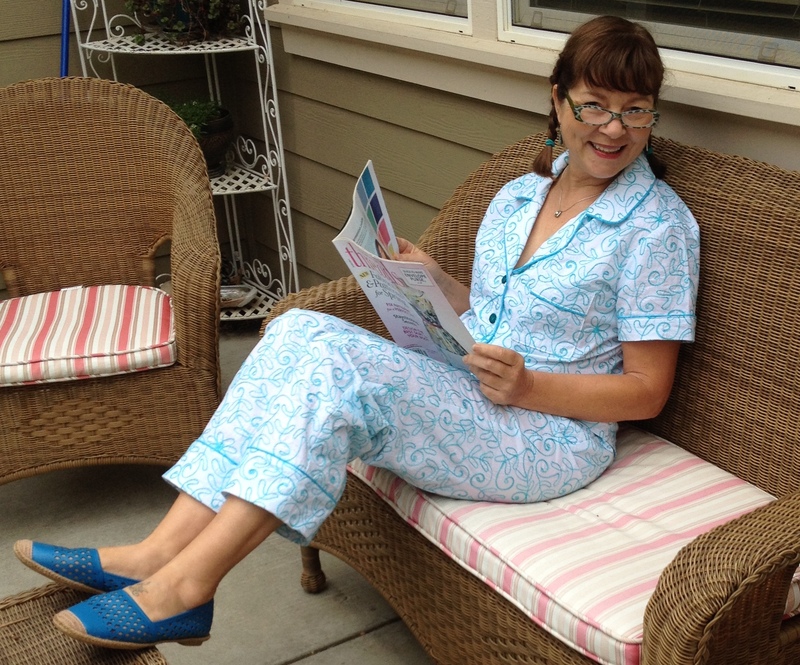 Love the PJ history lesson, the piping tips, that your fabulous fabric was bought at Joann’s, and the extras to complete a PJ wearable wardrobe are the frosting on the cake! Impressive contribution to the contest. You go girl! I love the fabric and beautiful job on the piping. They look so comfy! I love these! 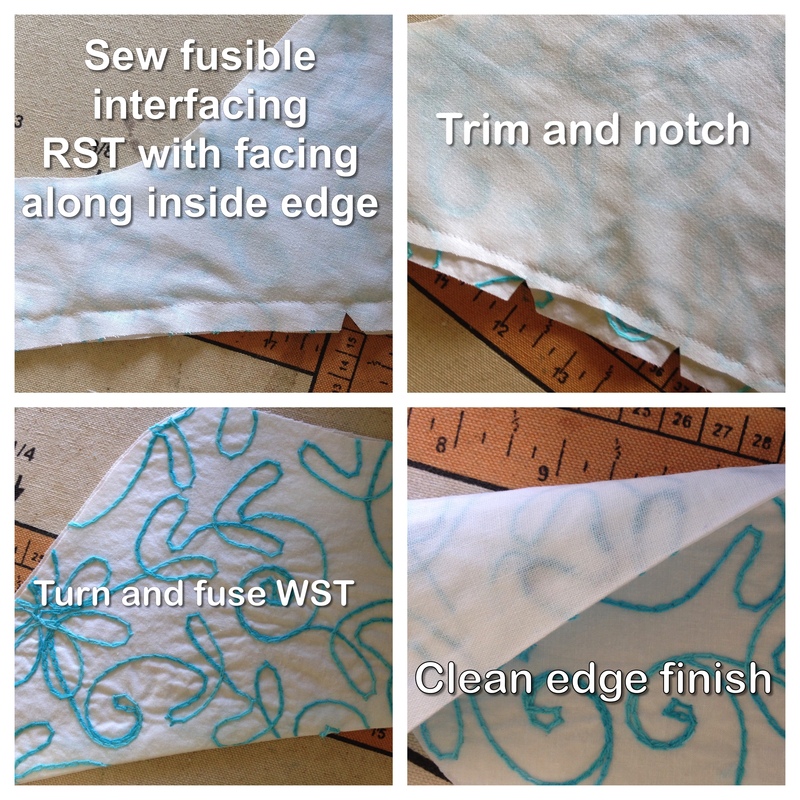 Your fabric is amazing, and I love your method for finishing the facing. 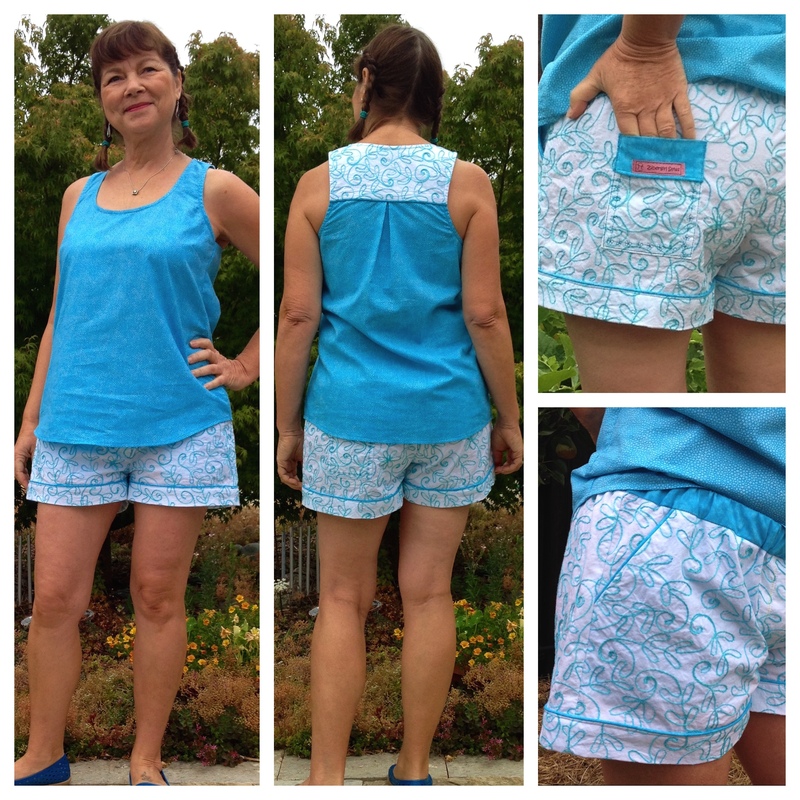 I also love your casual tank to make them super versatile! Ah! These are GREAT! 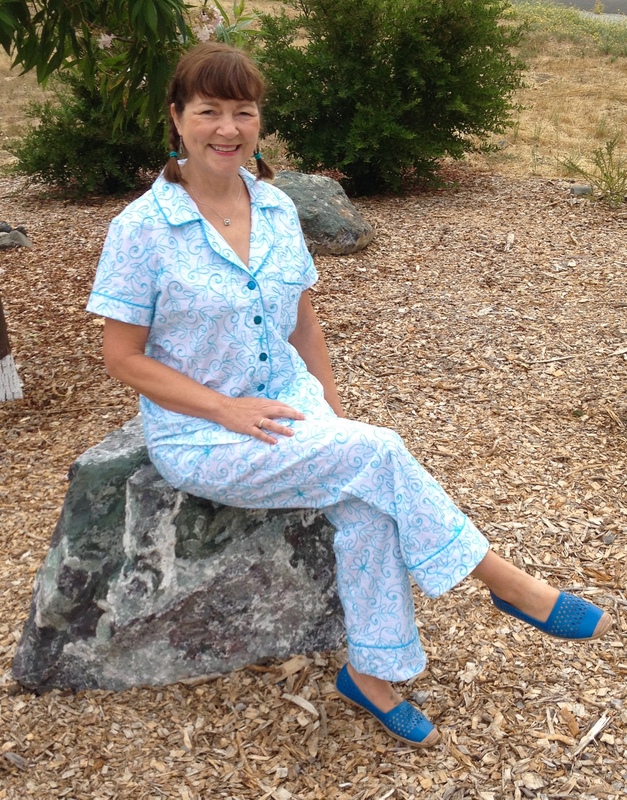 I would not have thought to use that fabric for jammies–and now it seems like the most logical choice in the world! 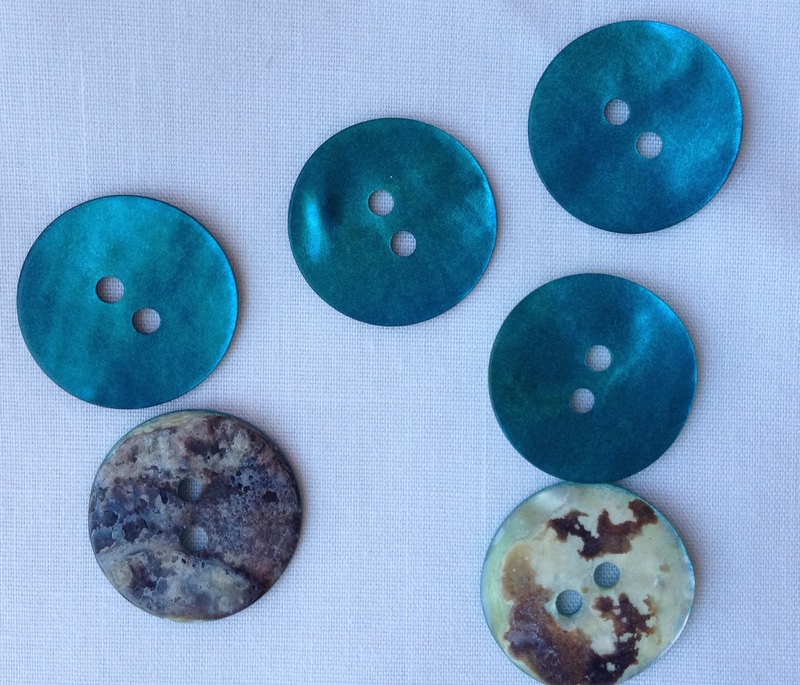 Such pretty fabric and buttons! You really did a superb job of sewing! Your pajamas turned out great! And those buttons…they are perfect! I also like your Ella top (I’ve sewn one and wear mine all the time)! 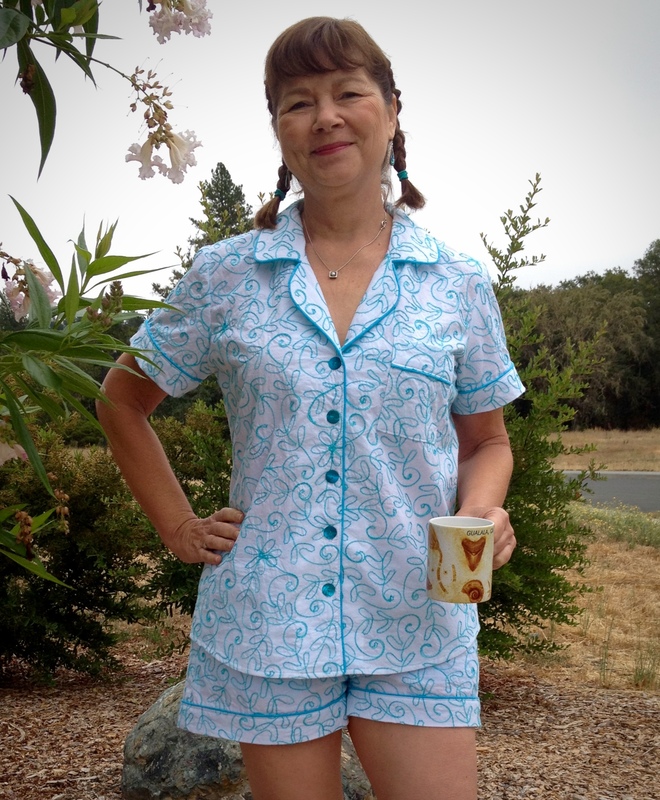 Pingback: Super Online Sewing Match II: Round Four Showcase of Carolyn Pajamas | Sew Mama Sew | Outstanding sewing, quilting, and needlework tutorials since 2005. I adore the extra Ella top you made! 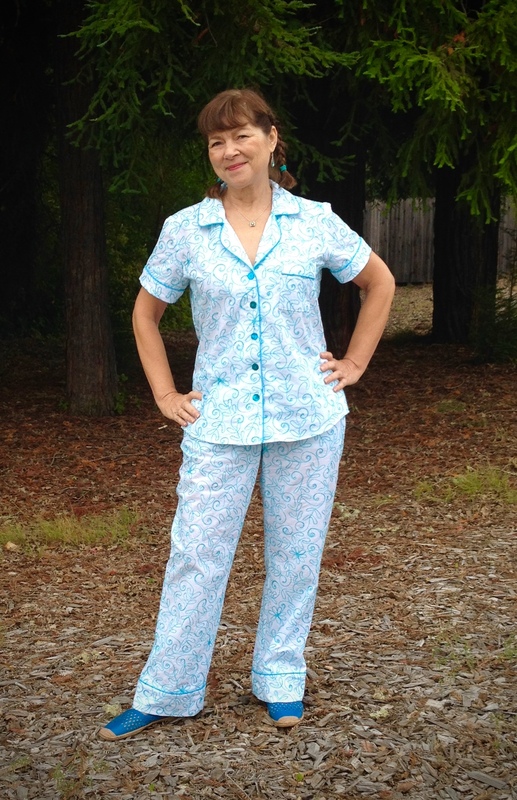 The fabric with the embroidery and the pyjamas are gorgeous. Everything matches so well together and the extra Ella top is just adorable!! 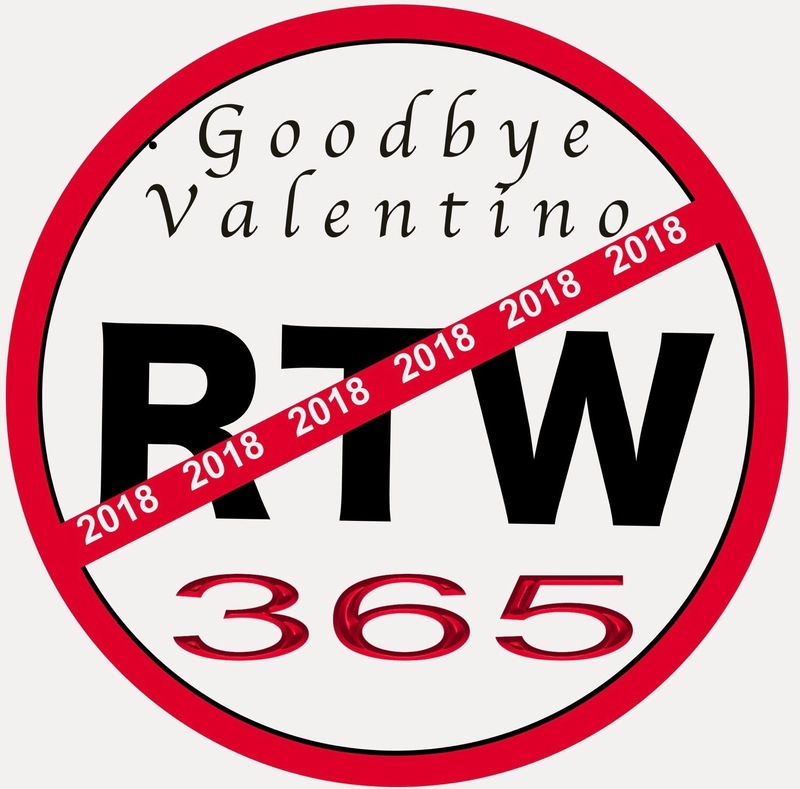 You did such a wonderful job and I love all of the versions you made. I was really looking forward to see what everyone did and I’m so impressed!! Your PJs look fantastic. Congrats on that perfect piping. Re the history of the pyjamas for women, I recently listened to an audio book (which I do while sewing) of Coco Chanel’s life story which mentioned her part in popularising the pyjama. Good luck in this round. Super cute! 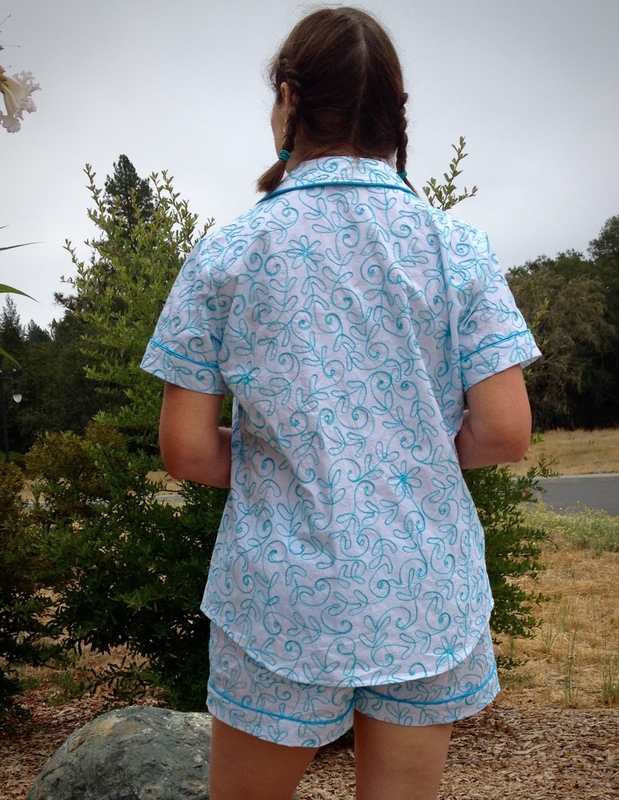 And the pyjamas are adorable too! 🙂 I think the turquoise and white fabric might have a little bit to do with it. I HEART turquoise! Best of Luck to the next round! 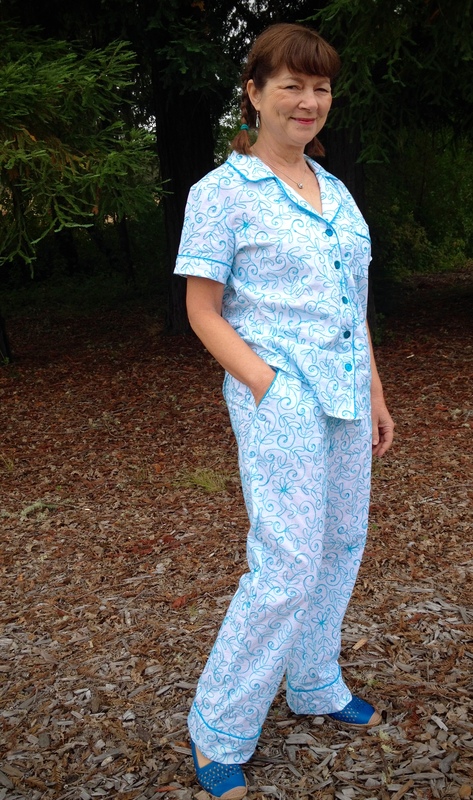 Your pajama set looks great. Could you point me in the direction of the Ella Top pattern? I googled but couldn’t find anything. Thanks so much. I can’t believe these didn’t make it through to the next round. They are miles better than another set that was submitted. 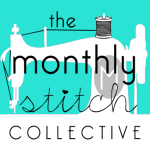 Sometimes I think this challenge is prejudiced against more seasoned seamstresses in order to raise interest in the younger set towards sewing. At least I thought that last go round of this challenge and now I see it again. Thank you, Becky, for your supportive comment. My husband and daughters felt the same way. I’m ok with how it turned out. I’m sure the judges have their reasons for their selection. 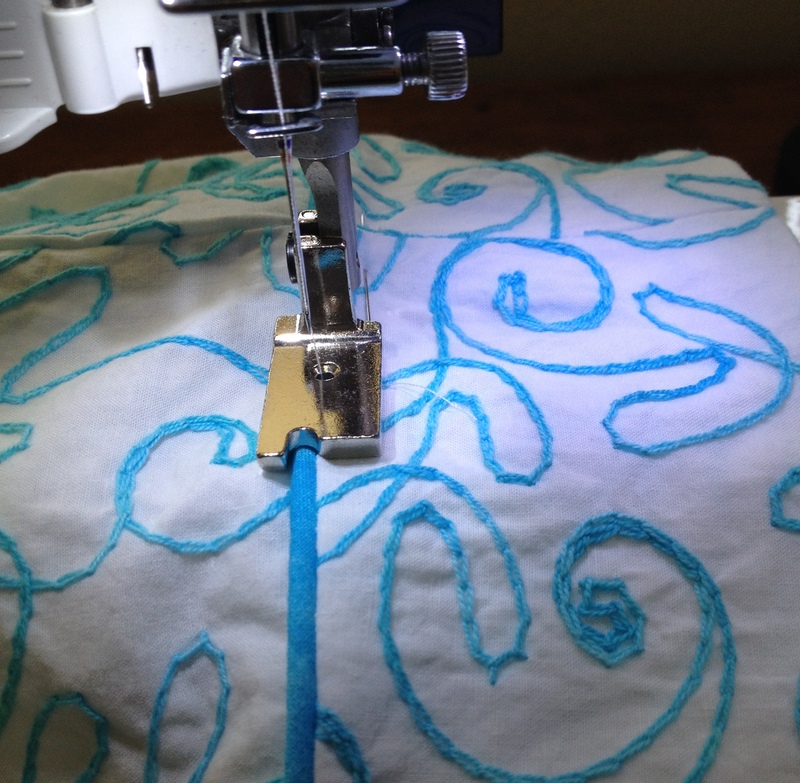 But I’m moving on to other projects and teaching sewing lessons that have been put on hold because of of the contest. Your comment means a lot to me. Having just read the final outcome I think both of you are right. I wonder if the winner had been chosen before it even began. At any rate the winner did give it her all and congratulations to her. Maybe next time they should do 2 competitions, one for beginner and one for the more seasoned. Both sets are lovely! 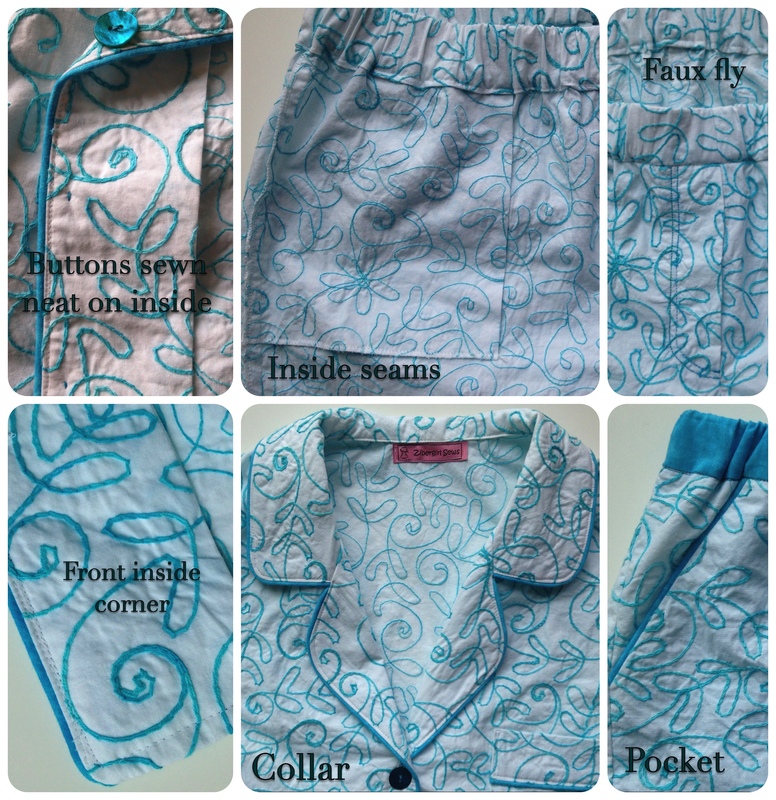 I love the fabric and the buttons! This set is my favorite. Love the colors. Thsee are absolutely perfect. I think you did wonderful sewing and have lovely fabric taste. I wonder too. I should have asked to see the judging criteria before I started. It could have been only subjective and not based on skill or design. 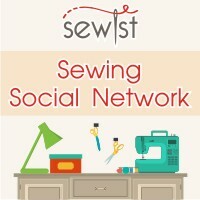 But enough boohooing, I love to sew and I hope to share what I know with anyone who wants to learn. Thanks for your kind comment, it’s very much appreciated.